Here at WIFE, we have written several articles about the huge Social Security benefits women can receive if they were married to their husbands for at least ten years before their divorce. When you reach retirement age, you are eligible to receive benefits equivalent to 50% of your ex-husband’s Social Security benefits if that amount is greater than what you would otherwise receive. This can be extremely helpful for women who do not qualify for much Social Security because they stayed home to raise the kids or take care of the household during their working years. What you may not realize is that your benefit could be even higher when your ex-husband passes away. At that point, you may be eligible for something called “Survivor Benefits” which are the equivalent of 100% of your ex-husband’s Social Security benefits. Let’s see how this works and how you might be able to dramatically increase how much you receive in Social Security. The U.S. government recognizes that many spouses (mostly women) chose to stay home and raise children or take care of the household during their working years. As a result, they may earn little or no Social Security. When the higher earning spouse dies, this could leave the lower-earning spouse in dire financial straits, since he or she would lose the higher earning spouse’s monthly Social Security benefits. Since women are more likely to outlive their husbands, this could mean a whole generation of grandmas living in poverty! 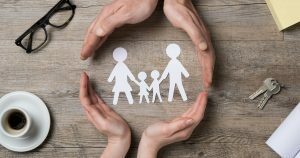 To avoid this unpleasant reality, the government allows surviving spouses to receive an amount equal to 100% of their deceased spouse’s Social Security benefit in certain cases. Best of all for you, the survivor benefits may also be available for divorced spouses! Even if your ex-spouse remarried, you can still receive the survivor benefits without affecting the current spouse’s benefit. You could also be remarried and qualify for the survivor benefits if you remarried at age 60 or older. These are only the basic rules, so contact the Social Security Administration to ensure that you do, in fact, qualify. Do not overlook this major benefit. Even a few extra hundred dollars a month can make a huge difference, especially if you are living on a fixed income. It can’t hurt to check your qualification! If you are considering a divorce, keep this information in mind as it might make sense for you to stay in the marriage a little longer if you are nearing your ten-year anniversary. 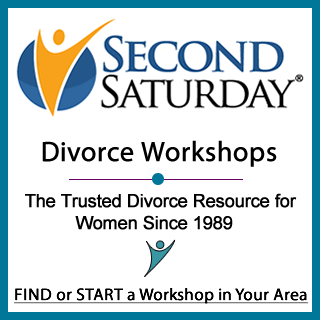 For more great advice on divorce, be sure to sign up for our next Second Saturday Divorce Workshop in your area. You are a surviving divorced spouse and entitled to benefits similar to what a widow would get. You can get reduced benefits as young as age 60, or wait until your full retirement age of 66+ to get full benefits. You will get the greater of your own benefits or surviving divorced spouse benefits. My ex-husband passed away on 2/14/2019. We were married on 4/1/1982 and divorce on 6/29/1992. An other women claims she was married to him on 2/6/1992. I will be 66, this year. I would appreciate knowing what is my position with Social Security? Plus, would I be able To collect 100% of his benefits? For Social Security retirement benefits, you are considered a surviving divorced spouse. You are entitled to your own benefits, or benefits under his entire earnings record, whichever is greater.